Chulbul ‘Robin Hood’ Pandey is back with his witty dialogues. 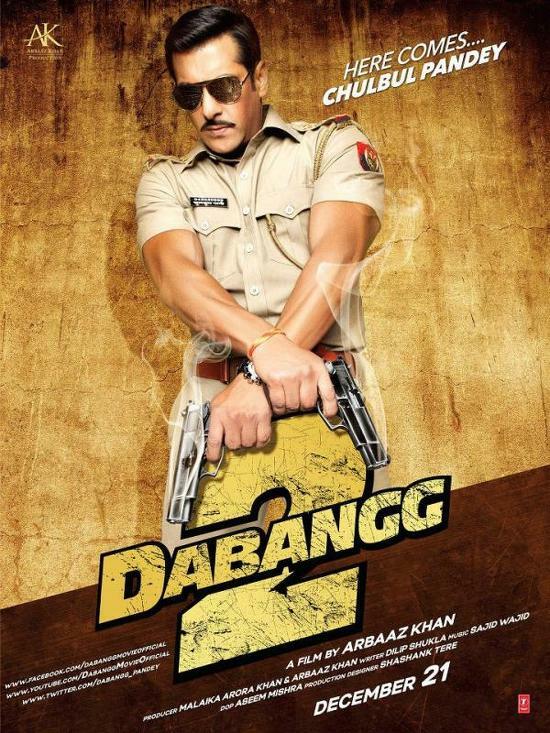 Here are the dialogue promos from Dabangg 2 which releases on 21st December. Dialogue Promo 1 – Aapki Seeti Nahi Cooker Ki! Dialogue Promo 3 – Waqt Tumhara Kharab Aaya Hain Aur Din Hum Gine! Joker Dialogue Promo – Watch Video! puneet shukla.salman bhai u r rock.and chulbul is back.faad de bhai sabki. Search karo “Official Dabangg2 APP” google play store me, sare dialogues apko mil jayege..Awesome app! !